In celebration of EVO Championship Series 2015, gaming's most popular fighting game event, Sony is throwing a major sale on any and all fighting games. If you feel like bashing your opponents teeth in, or in Mortal Kombat X's case, ripping their spine from their body, be sure to check out the price cuts below. And hooray, hooray! Sony has returned to the convenient "copy and paste" lists! Alright, time to break it down. I'm not the biggest fighting game gamer, but there are plenty of games here I love. The Power Stone Collection is the prize of this bunch. Capcom's Dreamcast cult-classic plays marvelously on the PS Vita, and with the aid of the PS TV, you won't even notice you're not playing on a Dreamcast… apart from using a comfortable DualShock controller. A must buy for $2.50, no question. Do it now! If we are looking into more traditional fighting games though, I've always liked Street Fighter Alpha 3 the best. A lot of people swear by Street Fighter Alpha 2, but I've never gotten around to that one. Either way, fans tend to hold these games in the highest regard in terms of Street Fighter. The same goes for Street Fighter III: Triple Strike. SoulCalibur IV is a decent choice for a 3D fighter, and Ultra Street Fighter IV has been the most popular fighter in recent memory. For something a little more modern, Mortal Kombat X and Guilty Gear Xrd -SIGN- have both gotten a lot of positive attention. The same goes for indie hit Towerfall Ascension. 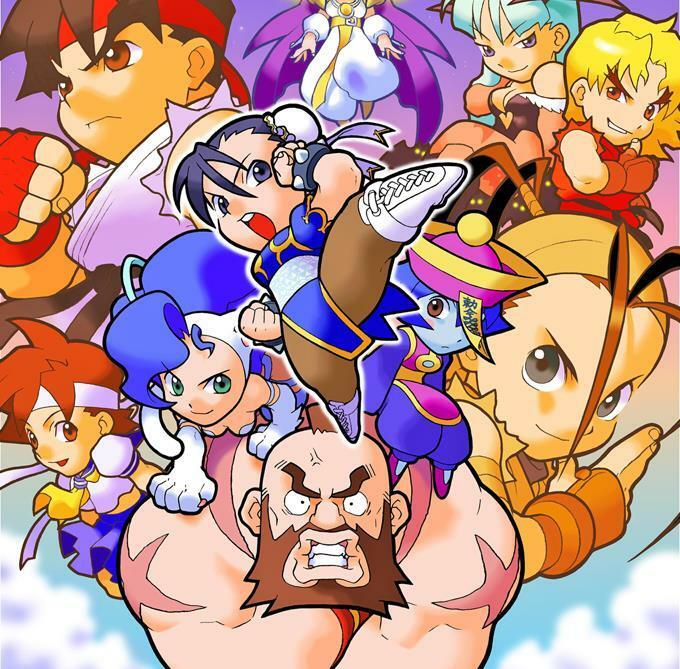 Honestly, the only game I picked up from this sale is Pocket Fighter because of how disgustingly 90s it is. I'm just weird like that though. Sony also has some movies for sale. Check out the full list at PlayStation Blog.